2013 Alpha Estate Xinomavro Hedgehog Vineyard — Produced by one of the top Greek wineries, this wine is dark, deep and highly tannic. Pronounced ka-see-NOH-MAV-row, the dark-skinned grapes are made into what are considered to be Greece’s most desired wines. The translation in Greek of the grape is “acid-black,” but in the hands of a winemaker like Angelos Iatridis, the rough edges are smoothed to silk while the darkness remains. The last two “Wine Ink” columns explored the passion that people have for individual varieties of grapes. The first was about an Italian winemaker’s love for a grape, dorona, that was, until recently, in danger of extinction and is currently found on just one Venetian island with fewer than 100 vines. The second was an account of a group of winemakers, The Pinot Posse, and their obsession with a grape grown all around the world that is famed for the different expressions of that grape, depending on the place it is grown. These are two very different wine perspectives, each valid in its own way. But they are an example of just how diffuse and varied the wine world can be, depending on which grapes one chooses to focus on. So what is your favorite grape? Most of us will respond with something that we drink regularly. If we like white wines, then chardonnay or sauvignon blanc might be the answer. And fans of reds likely will chime in with cabernet sauvignon or merlot, or perhaps even zinfandel. After all, these are the wines and the grapes that we are most familiar with here. But throughout the world, there are thousands of grape varieties, some related, some totally unique, that can be, have been and are currently used to make wine. It is estimated that as many as 1,200 different grape varieties are made into a commercially sold bottle of wine somewhere on earth. Have you ever heard of Airen? It is a white wine grape largely grown in Spain and it is the most widely planted white wine grape on earth. In fact, until the beginning of this century, it was No. 1. But as tastes have turned to red wines, it has been passed globally by cabernet sauvignon and merlot. Still, for a grape that few of us here in America have heard of, much less tried, it is amazing how much Airen is grown. According to a study produced by the University of Adelaide in Australia, one of the most significant global wine institutions, 99 percent of commercial wine growing is done in 44 countries. They range from France, which, as of 2010, was responsible for 21 percent of production, to countries such as Israel, Belgium, even Ethiopia, which produce fractional amounts but still have significant commercial wineries. In the study, which was released in 2014 covering the first decade of this century, there’s a total of 1,271 different grape varieties listed. In Italy alone, there are 396 separate and distinct varieties cultivated by vintners, by far the most of any country. There is currently a movement in Italy to revive a number of the “ancient,” or lost, varieties of grape and bring them to the public. 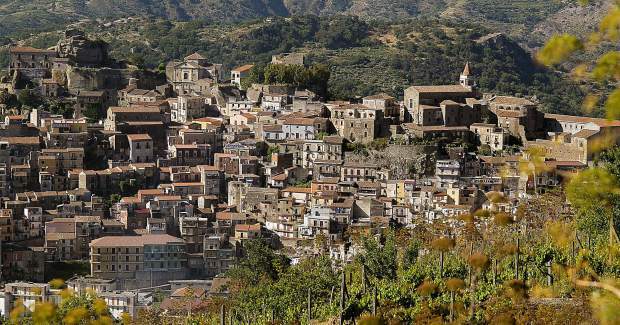 In Sicily, a group is using the techniques employed by the Romans to make wine from indigenous and nearly forgotten grapes such as nerello mascalese and muscatedda. And in Piedmonte, in Northern Italy, a grape called pelaverga is being used to produce light, bright and fruity wines from a grape that has “roots” going back to the 1600s. But it is not just obscure varieties. Bobal, a Spanish red wine grape, is more widely planted than sangiovese. Grasevina is the No. 15-ranked grape in terms of acreage on Earth, with 20 percent more coverage than riesling, a grape that we know well and to which it is similar in composition. Grasevina is found readily in Austria, Croatia and Hungary. When you think about it, making wine is a simple and natural process. Grapes ferment on their own, and people have long recognized that some grapes have better flavors than others. If you lived in Greece, the Xinomavro that has been made in the region for a thousand years may taste better to you than the finest merlot from Bordeaux. Oh, and about that Ethiopian wine. There are projects under way in the high Rift Valley to produce wines from vines planted to international varieties, such as cabernet and merlot, in partnership with the French. But there is also a grape, Dodoma, that is native to the region. So what does it all mean? First, there is a world of great wine experiences for you to explore. Go to your favorite wine shop and seek out grapes that may be unknown to you. Buy a bottle a month of a grape you don’t normally drink. It will open your eyes. Next, if you have the good fortune to be able to travel to wine regions around the world, then drink local. Seek out the indigenous grapes and open your mind — and your palate — to the tastes of the region.